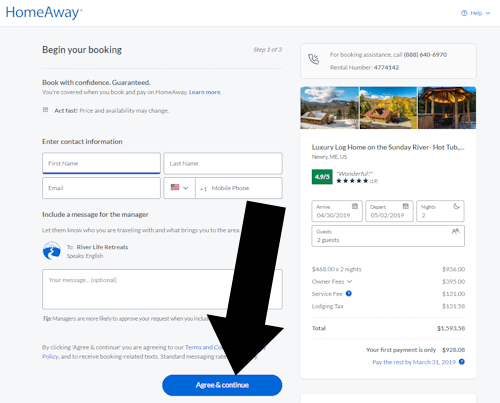 Various coupon sites claim to offer Homeaway coupons, however redeeming those codes can be confusing. 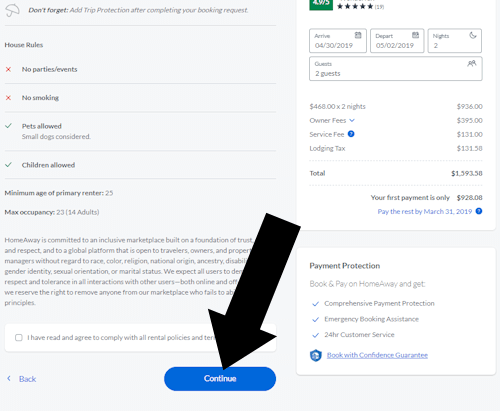 To explain the answer to the question “where do I enter the coupon on Homeaway?” we must first make the point that users of Homeaway fall into one of two categories. Those wanting to book a rental home, and those wishing to offer their home for rent. Follow the steps below to book a rental home. To offer your home to rent, go here. On page two, enter the required information and click AGREE & CONTINUE. Agree to the house rules, and click CONTINUE. 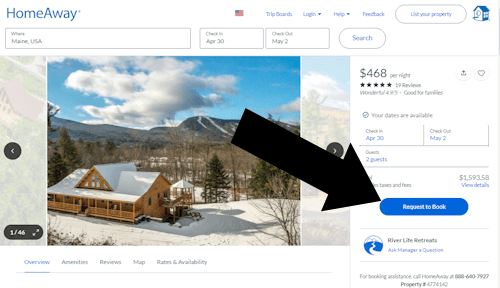 Homeaway is the parent company for many vacation rental websites including VRBO, Vacationrentals.com, and the Australian site Bookabach. While the two sites generally offer identical listings, VRBO is the more popular site both in the US and abroad. That’s not surprising since it was one of the first online travel agency (OTA) brands. AirBnB is an even more popular OTA, currently ranked well above VRBO in overall traffic. This tutorial was last verified on Apr 3, 2019 @ 8:29 pm.